Asian style chicken will be the hit on your tables.Here is a easy flavorful chicken perfect for baking or on the grill. 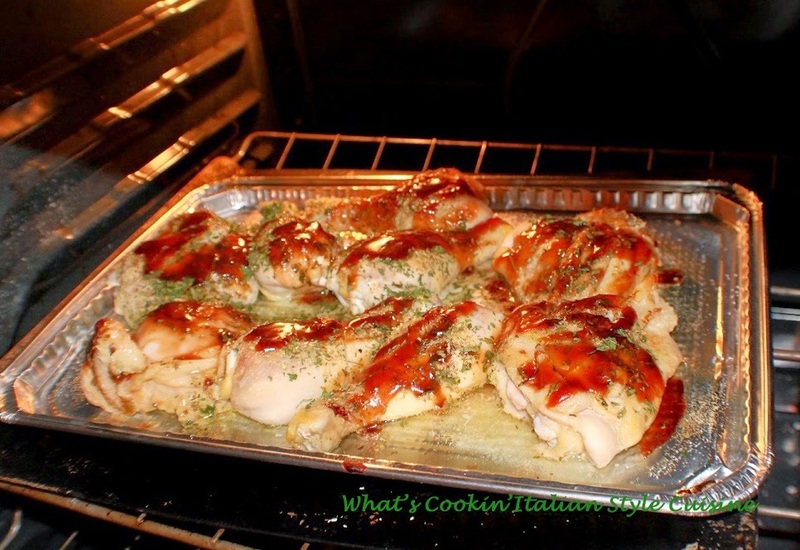 Marinate for tenderness and this will be a delicious chicken baked or grilled. Using stir fry sauce or oyster sauce makes this very tasty! Optional: Before cooking top with sliced mushrooms, pineapple rings and slices of bell peppers. Mix the parsley, oregano, lime juice, garlic powder, soy sauce, brown sugar and olive oil in a large freezer bag and add the chicken pieces around 7 to 8 pieces. Marinade for 3 hours or overnight. Before cooking, baste with oyster sauce and sprinkle generously with salt and pepper to taste. Place on a greased cookie sheet or aluminum pan. You can also grill during grilling season. Bake at 400 degrees until juices run clear around 35 minutes. Serve with jasmine rice or any kind of rice you like. This sounds great, Claudia! Saving it for the grill when it's warms up outside! Looking at the ingredients, I know we'd LOVE this chicken!!! Delish!